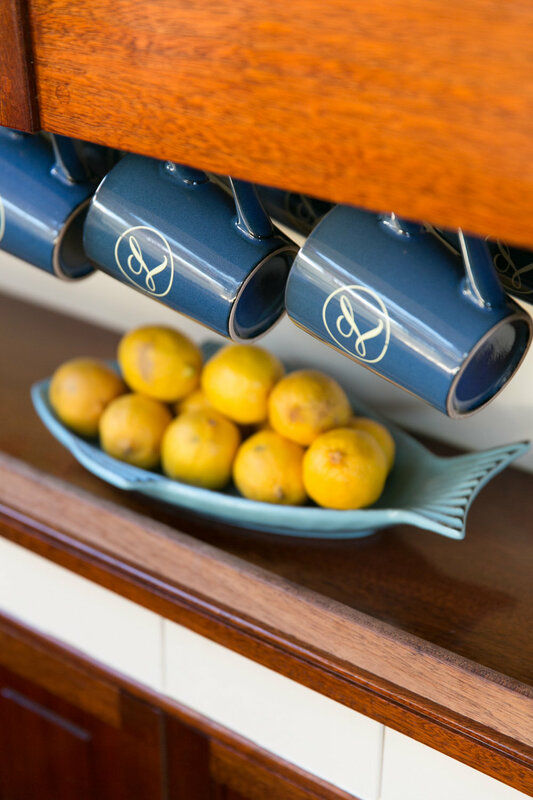 We have designed Ladona for discerning tastes. 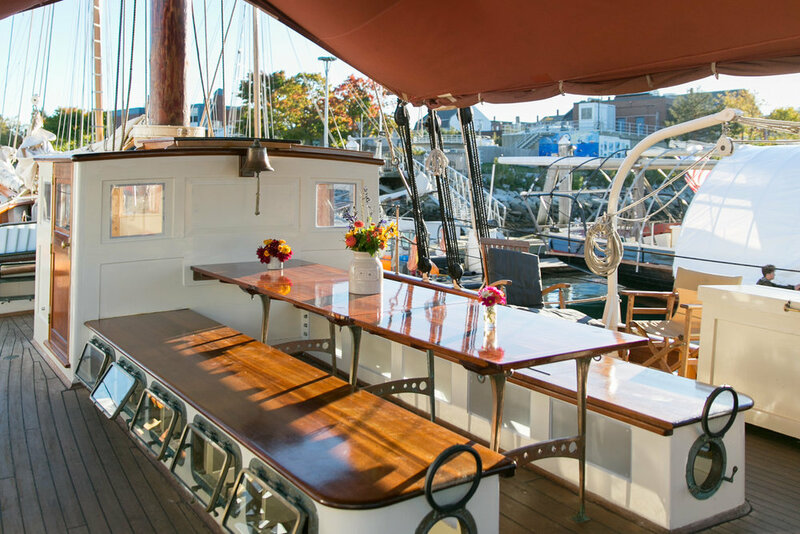 Our goal is to give you an authentic Maine windjammer experience while carefully addressing the modern conveniences of comfort. 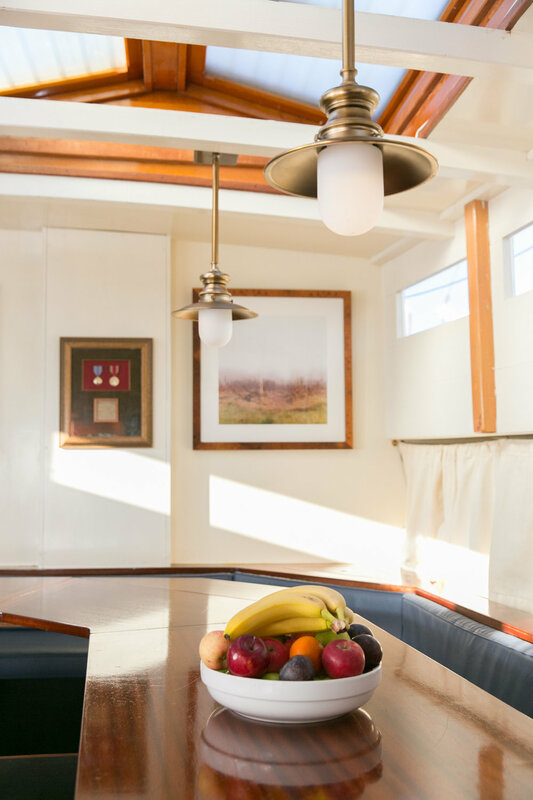 All nine of our carefully designed cabins on Ladona reflect our guiding philosophy of Maine’s simple elegance. Beds are furnished with quality plush mattresses, two pillows per guest, premium linens, and non-allergenic comforters. Perfect for an afternoon nap. Cabin 1 has two non-bunked twins. Cabin 2 is our single. Cabins 3, 4, and 6 feature bunked twins. Cabins 5, 7, 8 and 9 have queens. If you have a specific cabin number in mind, just let us know when you book. 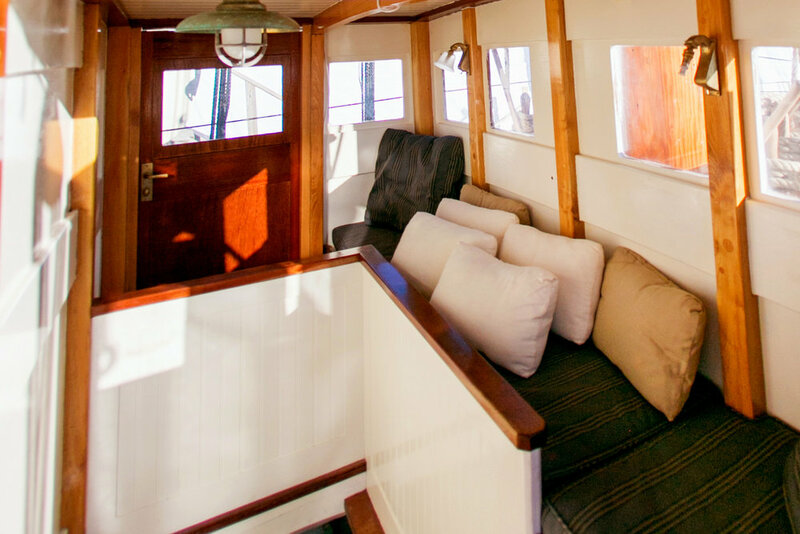 With 82 feet of classic schooner and only 17 guests, you’ve got plenty of room to relax. Three meals are freshly prepared each day in the galley kitchen. Photo: Nadra Edgerley. All bathrooms are outfitted with 110-volt power outlets and sinks that provide hot and cold running water. In addition, they are well ventilated and acoustically insulated. Our three modern porcelain toilets use fresh water and are truly state-of-the-art with electronic flush buttons. 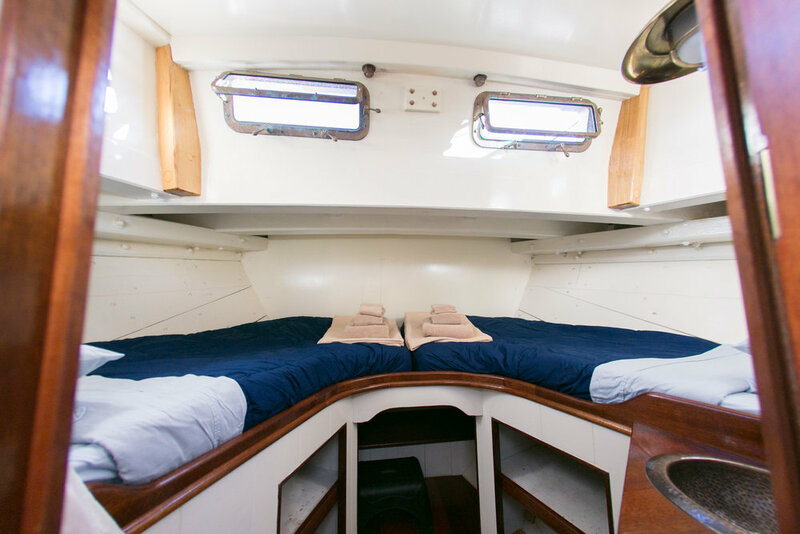 Unlike with most sailboats, you will not experience unpleasant odors from below. Our two enclosed showers give you enough room to move comfortably about. They are smaller than you are used to at home but bigger than most sailboat showers. We have a third shower on deck for rinsing off after a swim. Hot and cold fresh water are instant and plentiful. The bespoke fixtures are made of solid bronze. 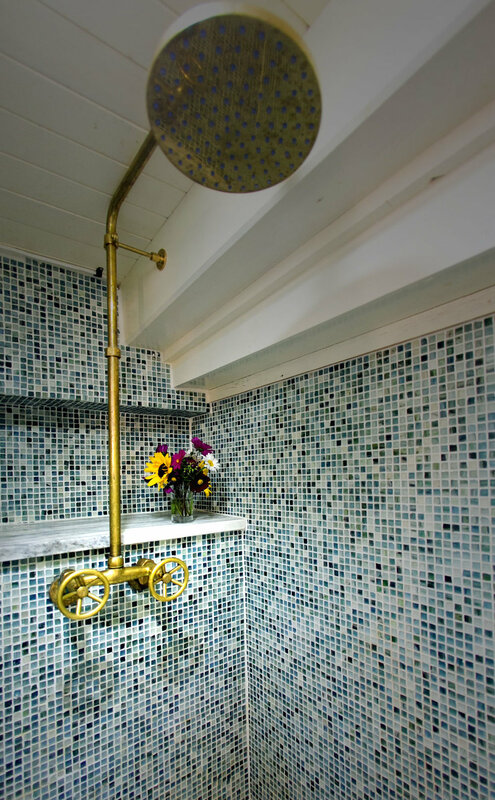 We chose tiled walls and floors accented with Carrara marble.